You want to decouple your Apple Watch, for example, before the sale or because you have a new iPhone? We explain what settings on the smartwatch are necessary for this process. Launch the Apple Watch app on the iPhone. Select the "My Watch" tab and tap at the top of the screen on your Apple Watch. Tap the info icon next to the Apple Watch you'd like to unlink. Then tap on " Unpair Apple Watch". 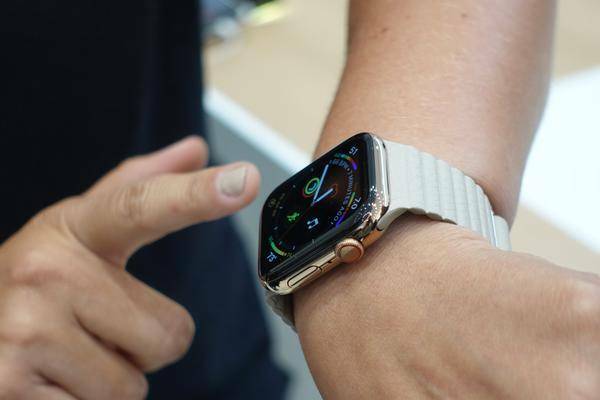 For the Apple Watch Series 3 (GPS + Cellular) or the Apple Watch Series 4 (GPS + Cellular), choose whether to keep or remove the mobile phone tariff. If you want to reconnect the Apple Watch and the iPhone, keep the mobile phone tariff. If you do not want to reconnect the Apple Watch and the iPhone, you can remove the mobile phone tariff. Touch again to confirm. You may be prompted to enter the password for the Apple ID to the Cancel activation lock. Before all content and settings on the Apple Watch are deleted, the iPhone creates a new one Backup. So you can later restore the content on a new Apple Watch. During decoupling, the following things are deleted from the Apple Watch: active Bluetooth connections, Apple Pay data, PIN. After the Apple Watch has been successfully decoupled, the message "Start pairing" appears. The watch can now be rebuilt. Alternatively, you can decouple the Apple Watch directly on the watch. But there are two important things to keep in mind. On the one hand, no backup is created when decoupling without iPhone. Additionally, the activation lock will not be automatically disabled, which will prevent a new owner from setting up the Apple Watch. On the Apple Watch, tap Settings> General> Reset> Clear Settings & Content. If necessary, enter the PIN. For the Apple Watch Series 3 (GPS + Cellular) or Apple Watch Series 4 (GPS + Cellular), choose whether to keep or remove the mobile plan. Tap "Clear All" to confirm. This will reset the Apple Watch to its factory settings. Go to icloud.com and go to Settings> My Devices> Apple Watch> X Icon to remove the activation lock.